Belgium apologised on Thursday for the abduction of thousands of children born to mixed-race couples during its colonial-era rule between 1959 and 1962 of the Democratic Republic of Congo, Burundi, and Rwanda. The apology was the first time Belgium has officially acknowledged responsibility for the forced removals. Belgium took away thousands of mixed-race children, known as "metis," born to white settlers and black mothers in these Central African nations towards the end of its colonial rule under a policy of segregation, which took the children and put them in schools and orphanages in Belgium run by the Catholic Church. 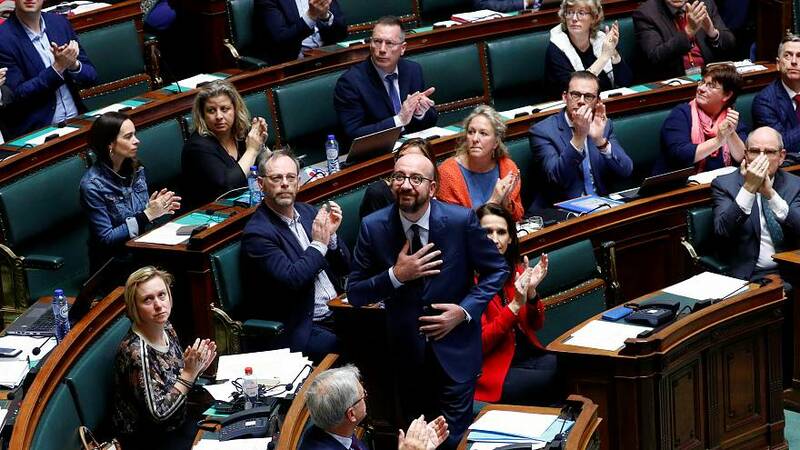 "In the name of the federal government, I present my apologies to the metis of the Belgian colonial era and their families for the injustices and the sufferings they have endured,” Prime Minister Charles Michel told Parliament as dozens of former abductees looked on. The Catholic Church apologised for its role in the kidnappings in 2016 and in February a report by a UN Security Council panel urged the Belgian government to also issue an apology, for what it called "atrocities committed during colonisation". The report added: "The root causes of present-day human rights violations lie in the lack of recognition of the true scope of violence and injustice of colonization." Belgium's rule in Central Africa lasted from the 1800s to 1960 where King Leopold II exploited rubber and other resources, which led to slave labour that cost between 10 million and 15 million lives. Heleen Debeuckelaere from the Belgian Métis Association told Good Morning Europe that the apology needed to be matched with reparation damages for victims of the colonial era.